After a comeback album last year, the funkiest group alive, Earth, Wind & Fire, decided to record a holiday album, and also open up about their legacy, performing for the President, and more. Earth, Wind & Fire are due for their next big break. Those words look odd on the page, given the fact that the band has sold around 90 million records worldwide, putting them among the top 50 or so bestselling acts of all-time; not to mention the fact that they've won six Grammys, have been inducted into just about every relevant hall of fame in the United States, and were chosen by President Obama as the first act to perform at the White House just a few weeks after he moved in. Not a bad musical resume, in any estimation. But in the midst of the disco renaissance of the past few years (Bruno Mars, Daft Punk, Robin Thicke, etc. ), Earth, Wind & Fire are rarely given their due. Despite the fact that any DJ in the world will tell you that the opening notes of "Let's Groove" retain the power to bring any party, anywhere, to the next level, and "September" still has the ability to make even the whitest of white people get up and dance, Earth, Wind & Fire are under-recognized by my generation as one of the most important dance music acts of all-time. Of course, the music of Earth, Wind & Fire is about more than just dancing. Add a little bit of jazz, a lot of soul, heaps of R&B and funk, and just a hint of electronica, and you come closer to the full musical picture. Songs like "Shining Star" and "That's The Way of the World" are among the most recognizable and affecting soul tracks of the mid-'70s, each of them attaining the honour of induction into the Grammy Hall of Fame, while mega-hits like "September" and "Boogie Wonderland" cemented the band's association with disco's heyday during the latter part of the decade. Throughout their career, Earth, Wind & Fire were, and in a certain sense still are, a tough act to pin down. But for many, Maurice White is Earth, Wind & Fire. Forming the band in Chicago in 1969, White's elaborate costumes, infectious energy, and expressive body language onstage remain the most striking visual document of Earth, Wind & Fire's power. Flanked by brother Verdine on bass, Philip Bailey's soaring falsetto, and a white-hot horn section, for a time, Earth, Wind & Fire was untouchable as the most spectacular and dynamic live act in the United States. It is remarkable, then, that following Maurice's diagnosis of Parkinson's disease in 1994, and subsequent retirement from live performance, Earth, Wind & Fire are still one of the most engaging live acts in the world. It is testament to the enduring power of the music, and the unrelenting energy and enthusiasm of founding member Verdine White, that Earth, Wind & Fire still has the ability to move, inspire, and electrify audiences 45 years after their debut. Whatever energy Earth, Wind & Fire lost with Maurice's forced retirement from touring, Verdine makes up for it and then some. Verdine is among the most athletic instrumentalists in music, dancing and swaying onstage, while making musicians a third of his age look positively robotic by comparison. It's difficult to watch the man perform and not start moving yourself. 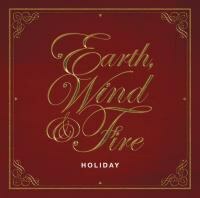 Earth, Wind & Fire is about to release their first Christmas record called Holiday and it's a good one. As you can probably imagine, this ain't Bing Crosby, though if there is a Christmas album capable of making your Grandma get up and shake her tailfeather, this is it. While the album is not uniformly great (a couple of tracks, like "O Come All Ye Faithful", fall flat), when it works it really works; "Joy to the World" has never sounded so joyful, while the re-vamped "September" (amended to -- you guessed it -- "December") is a fun twist on a classic. I connected with Verdine by phone, and talked about the new record, Earth, Wind & Fire's legacy, performing for the President, and more. What inspired you and the band to make a Christmas album at this stage in your career? It was really the president of Sony Legacy, Adam Block. He came up with the idea of the doing a Christmas record, and it was right on the heels of [2013's] Now, Then, and Forever. And we went in pretty fast and did it. "September" is such a a classic, such an iconic track. Were you at all worried that fans might object to you "tampering" with it, as you were making "December?" No, not at all. I think [the fans] are going to like it like they do "September," you know what I'm saying? Because we didn't really "bastardize" the song; we kept it in the same direction. And it's a play on words on a classic song, and "September" is going to be classic forever. You performed for President Obama back in 2009. How did that feel for you? Great, fantastic. It was a great, great moment. It was two weeks after the inauguration, and he requested us, and we were the first act of his administration. We were the first to play in the White House, in the East Room. It was a beautiful, beautiful time. I hear a lot of anti-racist themes in your music, in your lyrics. How do you think the US has changed in terms of its attitudes about race since the President was elected? What impact do you think the election of Barack Obama has had on race relations in the US? I think, in terms of his election, first of all it was great for the country. It showed how far the country has come in terms of our history of race relations in America. It showed that America has come quite far. Whenever you're President, you're always going to get criticism, things like that. I think the fact that we're having [some of these] racial discussions in 2014 shows how far we've come, and that we're willing to discuss whatever problems that we have, and progress, and work on solutions to those problems. You've been with Earth, Wind & Fire for over four decades. You've sold tens of millions of records, you've won Grammys, you're in the Rock n' Roll Hall of Fame. I thought it was so cool that Miles Davis listed Earth, Wind & Fire as one of his favourite bands. As a musician, I can't imagine how good that would make you feel. Especially when you're hearing that from Miles, man! [laughs] Yeah, right. Is there any musical achievement that you look to as "beyond the rest?" Anything you think of as the crowning achievement of your career? They're all different, man. They all have their own "space," you know what I mean? The Hollywood Bowl was great last year. We did the Proms in London last month for 45,000 people. We rehearsed at Abbey Road the day before. They're all different, you know. They're all part of a bigger story. Also, too, we've got to give credit to my brother, Maurice White. Without him none of this would have happened. He conceived [Earth, Wind & Fire], he created it, so we've gotta give it up to 'Rice. So what's left for you guys to achieve? What plateaus are left to reach? As a musician, what keeps you motivated to keep playing and keep performing after all these years? What motivates me to keep playing is that we have new generations that come see us now. Our shows sell out in five minutes ... [and] they're screaming when they hear the songs, they're crying. That's a great motivator. And when you say "Thanks for the music;" I get that all the time. People stop me on the street -- Federal Express guys [laughs], security guards, people at the airport -- and that's a great place to be, and I think that's where we've always wanted to be [as musicians]. That's the biggest accomplishment any artist can have, when people thank them for making the music.